So, amongst the raw frustration of the war against our Black brethren/sistren at the hands of police, is the frustration surrounding our portrayal in the media. Black victims accused of crimes unrelated to the police-driven murder, "no angel" labels, and simple/universal hand-gestures labeled as gang signs, all because of the color of the hands flashing them. Of course, we notice the obvious discrepancy in that even actual White criminals don't receive this type of treatment. 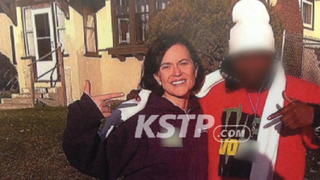 But, according to the controversy surrounding a KTSP picture of Minneapolis Mayor Betsy Hodges, it can happen. White folks can be accused of throwing up gang signs as well. They just have to be standing under the influence of a Black person. Or SUIBP, for short.